Our parent company, Northwest Exteriors has been in business for over 26 years with five locations though out California. 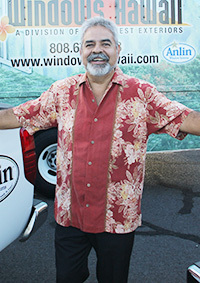 Located on Oahu, Windows Hawaii was added to the Northwest Exteriors family in 2007, and has become the fastest growing window company in the islands. Our crews and office staff are from Hawaii. They have been factory-trained in installing windows, doors and siding, making them capable of bringing you local knowledge and experience, combined with access to state-of-the-art materials, installation techniques. We are the exclusive distributor of the Ali'I Extreme line of top quality windows and doors by Anlin. The Ali`i line of Anlin brand of products are specifically designed for the tropical Hawaiian climate and to provide the best value for your investment. We have an A+ rating with the Better Business Bureau, and stand behind our products, service and installation with a limited lifetime warranty. If you are looking to install new or replacement residential windows, doors, siding or patio covers on Oahu, look no further than Windows Hawaii. See why the Ali’I Extreme Window is so great! "We never compromise when it comes to customer satisfaction. We aim to deliver quality materials and follow-through services that assure our customers we're the correct choice should a need arise in the future. In keeping with that goal, we don't take on more work than we can handle so we can deliver a quality product and experience each time."